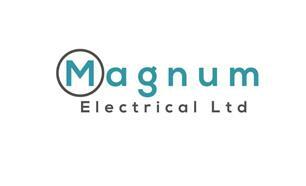 Magnum Electrical Ltd - Electrician based in South Godstone, Surrey. Magnum Electrical Ltd is a fully insured company and proud to be NICEIC registered under their domestic installer scheme. We are vetted and our work is thoroughly assessed by them to ensure the highest standard of workmanship. The company is directed by Josh McKenzie who is a qualified electrician with a wide range of knowledge and experience across the industry. Electric Showers and much more. We operate mainly in the South Eastern area, however, we travel all over for our work from Central London down to the South Coast.